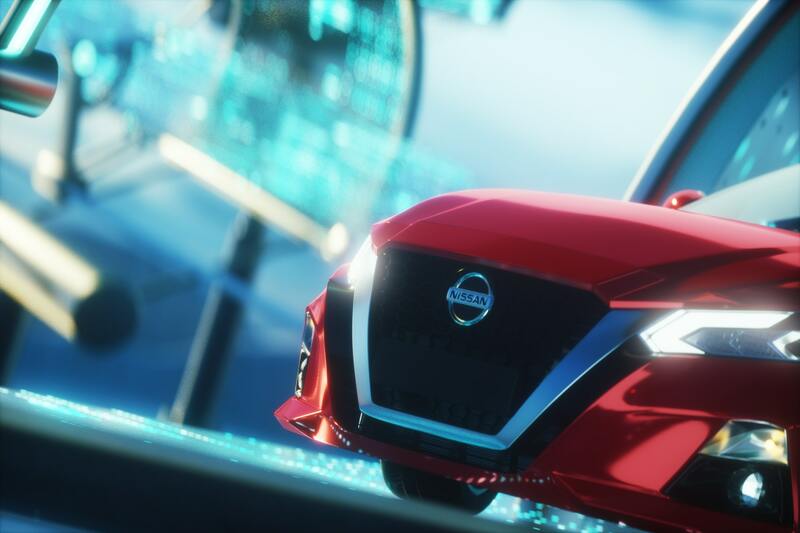 Nissan is one of the world’s leading multinational car manufacturers based out of Japan. 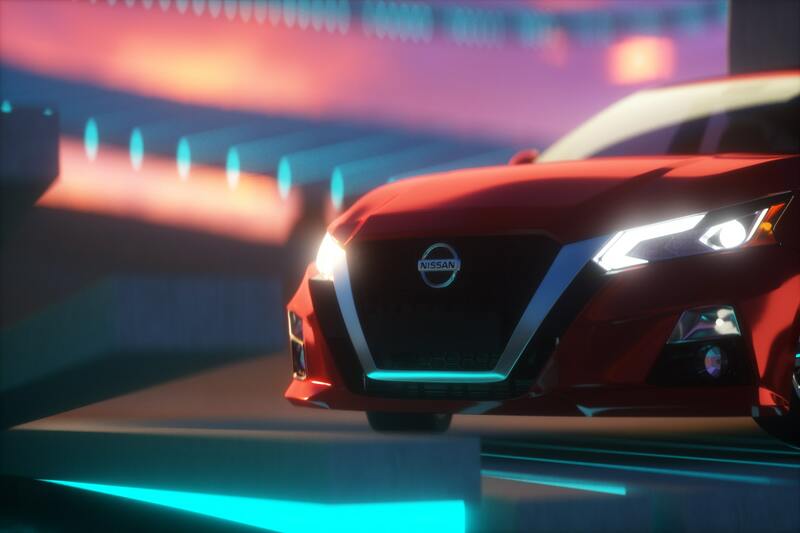 Constantly striving to evoke a passionate total-car experience, Nissan has prided itself on bold and thoughtful execution. 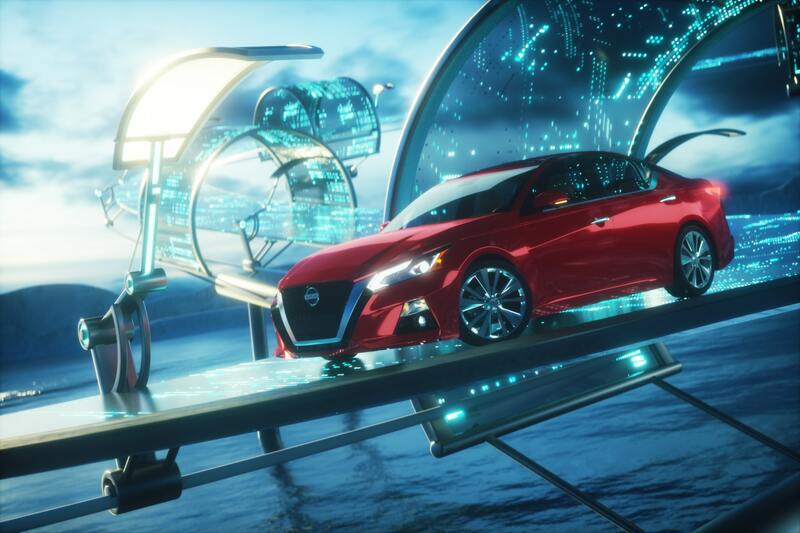 We aimed to create 3 murals, placing the Altima within technology-driven environments as a nod to the advanced features embedded in the car. 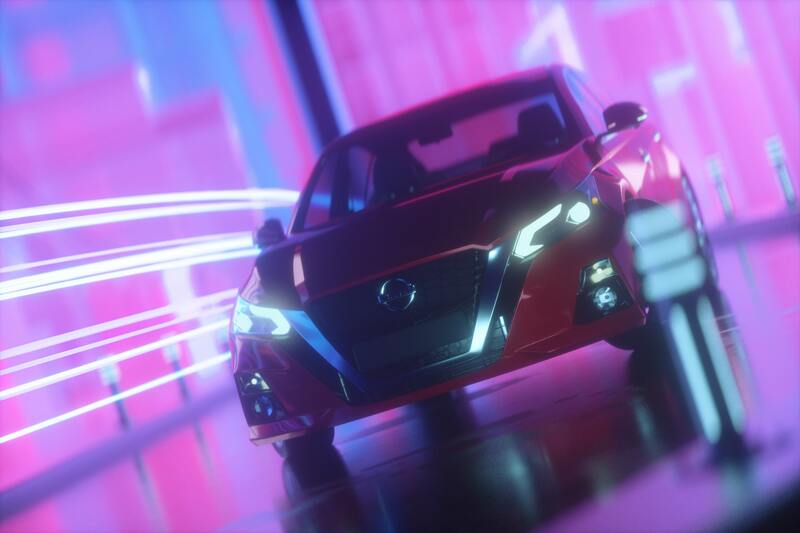 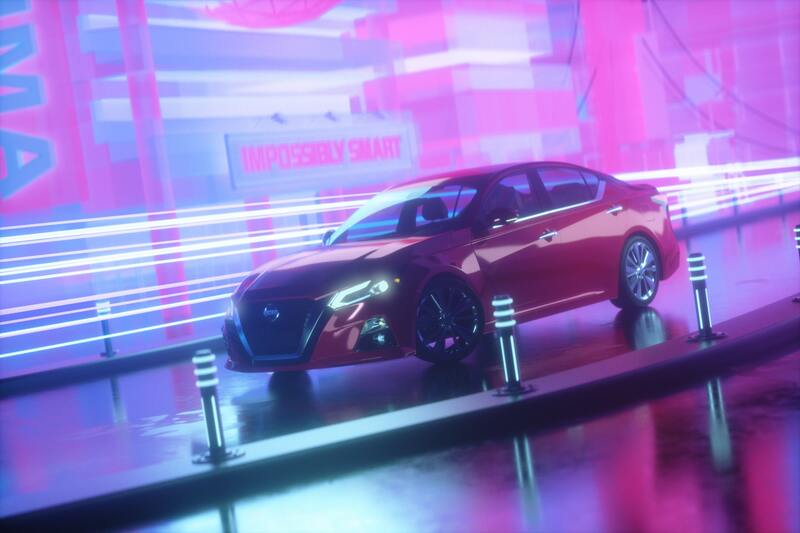 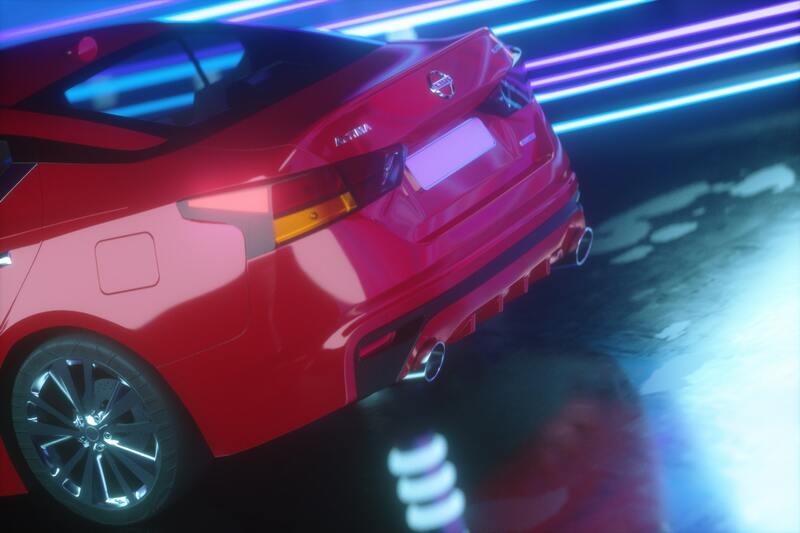 As well as creating unique formulations of glowing blue dots within each scene representing the cyan colored texture of the “NIM Grid” (exclusive to the 2019 Altima). 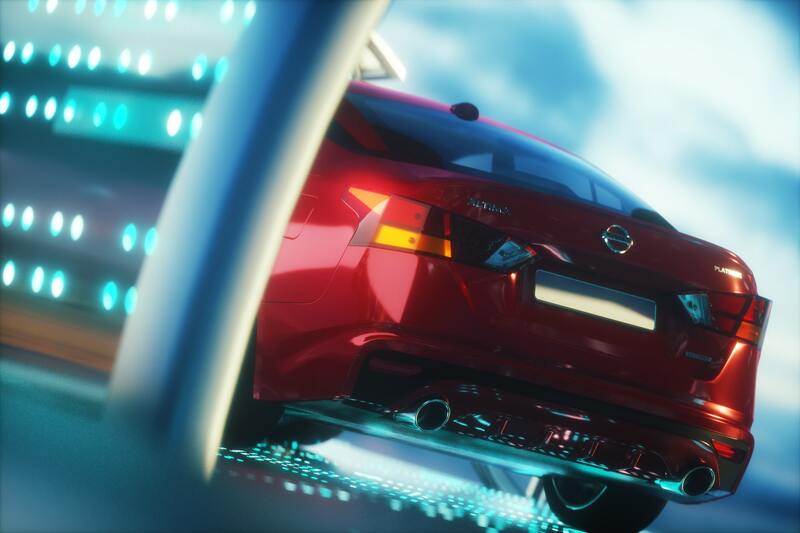 First, our team took time to conceptualize and sketch out the general feel of what each scene would embody. 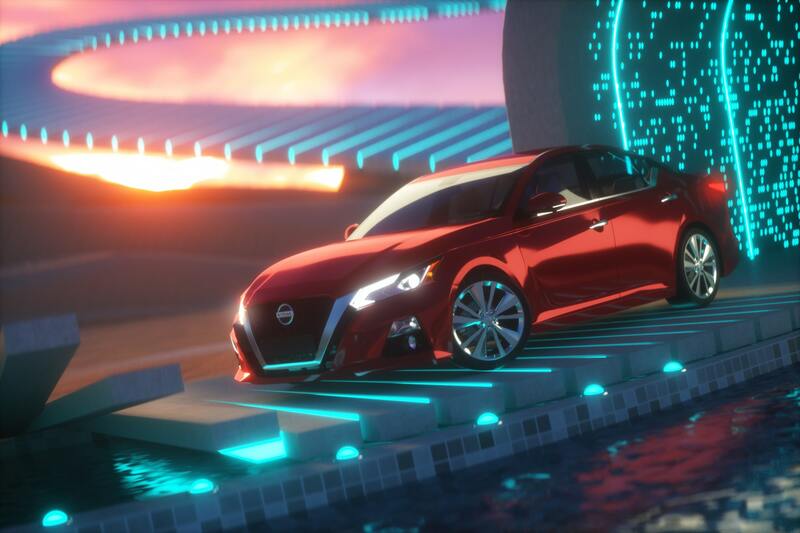 Next began the process of modeling the assets, landscapes and overall crafting the 3D environment. 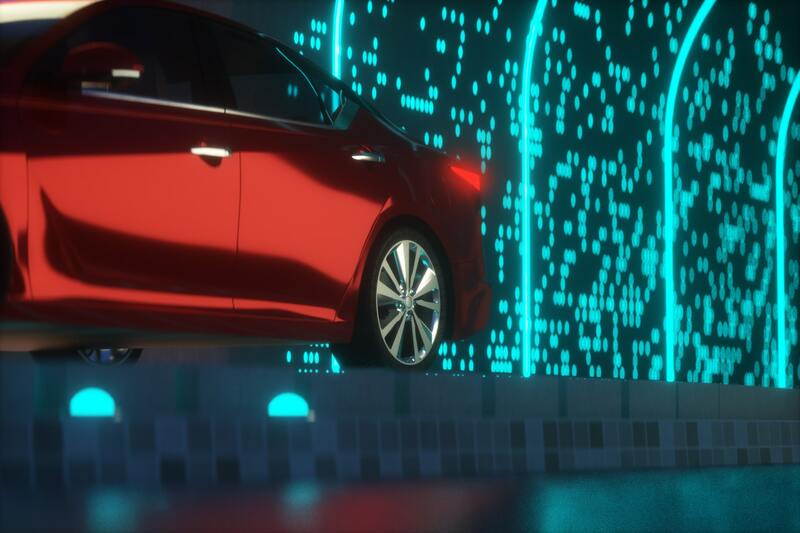 To wrap it up we textured the landscapes and models, along with lighting to complete the murals.